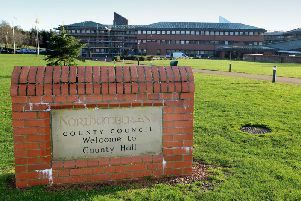 Northumberland County Council was awarded a share of almost £10m from the government’s High Streets Community Clean Up Fund. The funding will be used to work with existing groups to carry out community-led street and town centre cleans. The council will use around £12,000 of the funding for graffiti removal kits that will be offered free to community groups, Love Northumberland branded tabards, litter-picking equipment for its existing loan scheme or permanently for its litter champions, and prizes for winners in the Love Northumberland awards. The remaining funds will be distributed through Blyth, Ashington, Cramlington, West Bedlington, Morpeth, Alnwick, Berwick, Hexham, Ponteland, Haltwhistle, Prudhoe and Amble to organise clean-up events. Coun Glen Sanderson, cabinet member for environment and local services, said: “I am grateful to the government for this useful award of funding. “We’re so proud of our high streets and want to do all we can to keep them looking clean and tidy.